Some pets don't qualify for traditional pet insurance plans because of age or pre-existing conditions. For their owners, a pet-health discount plan is a good alternative. With a discount plan, you don't have to worry about limits on coverage, waiting periods, coverage limits, or deductibles. You don't even have to deal with filing claims; you just present your card when your pet receives care, and the discount is applied to your bill automatically. However, discount plans also have their drawbacks compared to traditional insurance. Although your savings are automatic, you can expect to pay significantly more out of pocket than you do with a pet insurance plan. Also, you have to take your pet to a veterinarian who's part of the plan network, or else talk your vet into joining it. Pet Assure ($8 per month and up) is an easy Best Reviewed pick in this category as it was the only pet-health discount plan we found with positive feedback from reviewers. 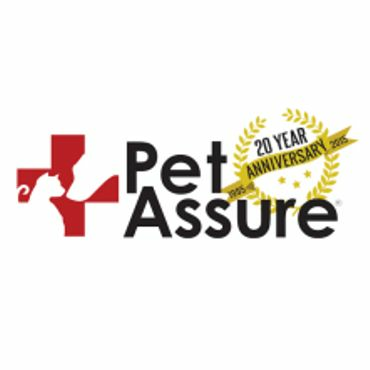 With Pet Assure, you get 25 percent discounts on all veterinary care as long as your provider is a member of Pet Assure's network. Unlike traditional pet insurance, which typically covers only accidents and illnesses, the Pet Assure discount also applies to routine care, such as shots and annual exams. It even covers procedures that most insurance plans consider "elective," such as dental work. As an added perk, Pet Assure offers discounts of up to 35 percent with many merchants on products and services for your pet, such as grooming, boarding, training, pet food, and supplies. Depending on how much you usually spend on non-veterinary care, this discount alone could be enough to offset the cost of the plan. In addition, Pet Assure provides a lost-pet finder service. When you sign up, you receive an ID tag with a unique ID number for your pet. If the pet is ever lost, anyone who finds it can call the toll-free number on the tag and read off this ID number, and Pet Assure will contact you to let you know where to pick up your pet. Despite all these benefits, reviewers largely say that Pet Assure can't fully take the place of a traditional pet insurance plan. It costs less per month than most full-coverage pet insurance plans, but not necessarily less than a bare-bones plan from Embrace or Pets Best -- and it almost certainly won't save you as much in the event of a costly incident. Even the cheapest pet insurance plans cover at least 70 percent of veterinary costs, while Pet Assure reduces your bill by only 25 percent. So the only way you can save more with Pet Assure is if your pet has a problem that a regular pet insurance plan won't cover. Also, it can be tricky to find a provider who participates in Pet Assure's network -- though a search feature on the Pet Assure website can help with that. That said, Pet Assure is a good alternative if your pet isn't eligible for a traditional pet insurance plan. It's also potentially useful as an add-on to a traditional plan. If your vet participates in the Pet Assure network, you could get a Pet Assure membership to save you money on the cost of routine care, while relying on your regular pet insurance to cover emergency costs. While many traditional pet insurance policies have an optional add-on for routine care, it's usually far more expensive than the $8 and up you'll pay per month with Pet Assure. Also, when you combine Pet Assure with traditional pet insurance, you can save 25 percent on your vet bill right away, rather than having to pay the full amount up front and then wait for reimbursement.